England 215 and 375 (Ian Bell 109, Stuart Broad 65, Kevin Pietersen 64, Mitchell Starc 3-81) beat Australia 280 and 296 (Brad Haddin 71, Chris Rogers 52, James Anderson 5-73) by 14 runs. England managed 215 in their first innings followed by 375 in the second whereas Australia was bowled out for 280 in the first and fought well in the second but their innings was folded back for 296 runs. 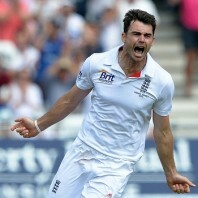 James Anderson (England) was declared ‘Player of the match’ for his exceptional bowling in the game since he grabbed 10 wickets in both innings of the Kangaroos. The Ashes – 1st Investec Test came to an end on Sunday, July 14, 2013, at Trent Bridge, Nottingham and that was the fifth day of the match. Earlier, the visitors went into the park at 6-174 scored in 71 overs whereas Brad Haddin and Ashton Agar were unbeaten at 11 and 1 run respectively. Haddin hit the first four of the day in the 73rd over and Agar started with two runs three overs later. The captain of England, Alastair Cook took the new cherry in the 83rd over while Australia went past the 200 runs mark in the 85th one. James Anderson got the first breakthrough when Agar was caught brilliantly in the slip by Cook for 14 off 71 balls with 2 fours. The seventh wicket fell at 207 and the next batsman Mitchell Starc departed after the addition of just four runs to the total. Peter Siddle joined in next with Haddin when the Kangaroos were in dismal condition. They did not give up as the first hit a couple of fours in the 90th over off Stuart Broad. Haddin kept on cruising at his end and Siddle became the next victim of Anderson at 231 after scoring 11 runs. James Pattinson got together with Brad Haddin while the duo did not give up and kept on fighting bravely with regular boundaries. Haddin punished Steven Finn for 3 fours and smashed his 11th Test fifty in the 99th over. Pattinson hit the first six of the innings in the 102nd over whereas the fifty of the partnership was attained in the same over as well. The lunch was extended to 30 minutes since the tourists were nine wickets down but the pair could not be separated after 108 overs when they took the score to 291. Brad Haddin kept his cool with 69 and James Pattinson secured his end for 22. The batsmen added another five runs to the score in two overs after the break when Brad Haddin was given out on the fifth ball of the 111th over off Anderson after a review was taken by the hosts. 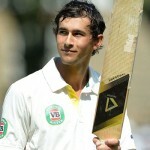 Haddin scored 71 runs off 146 deliveries with 9 fours and Pattinson remained not out for 25 as the Kangaroos reached 296. James Anderson was the star performer with another five wickets in the match, Stuart Broad and Graeme Swann shared two wickets each whereas Joe Root held one wicket. England clinched the exciting encounter against Australia with a close margin of 14 runs and leads the five Test series 1-0. 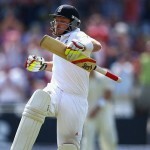 The second Investec Test will commence on July 18, 2013, at Lord’s, London.